Enjoy the best inspirational, motivational, positive, funny and famous quotes by Abul A'la Maududi. Use words and picture quotations to push forward and inspire you keep going in life! 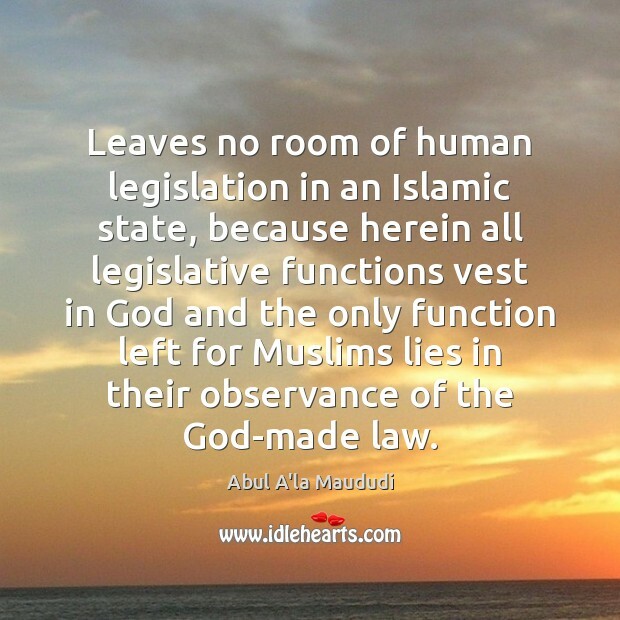 Leaves no room of human legislation in an Islamic state, because herein all legislative functions vest in God and the only function left for Muslims lies in their observance of the God-made law. 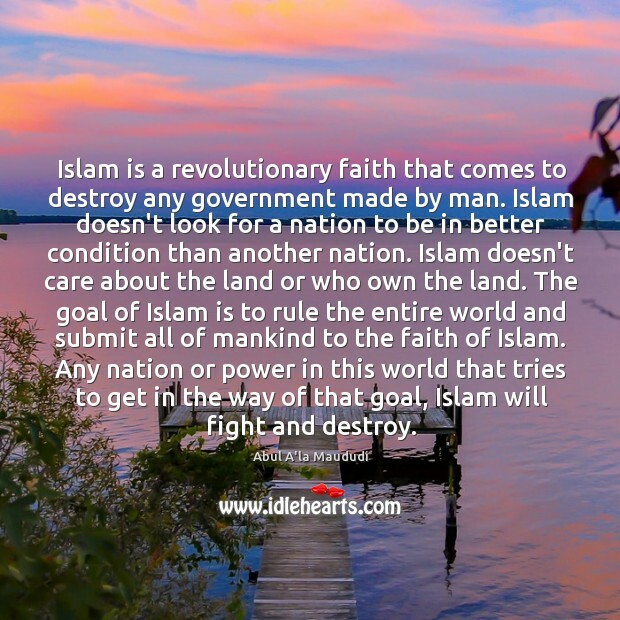 Islam is a revolutionary faith that comes to destroy any government made by man. Islam doesn't look for a nation to be in better condition than another nation. Islam doesn't care about the land or who own the land. The goal of Islam is to rule the entire world and submit all of mankind to the faith of Islam. Any nation or power in this world that tries to get in the way of that goal, Islam will fight and destroy.